We are one of the UK's fastest growing independent Internet Telephony Service Providers (ITSP) offering a wide range of VoIP solutions for your home or business. We provide a complete internet telephony service and satellite and 4G broadband services to commercial and residential customers throughout the UK. Our state of the art high-tech data centres are monitored 24 hours per day making sure we deliver enterprise quality telephony services to you with an unrivalled customer support service. We specialise in small and medium businesses and can offer great deals to new start ups and as we are truly independent we are able to offer our customers and clients some of the lowest calling rates available. As each company has different needs, we are able to offer a bespoke service, tailoring your telephony requirements and saving you loads of money in the process. We have some fantastic deals waiting for you, so why not give us a try? In order for our VoIP telephony to work, you need a good quality broadband service. If you live in a remote or rural location, sometimes it can be difficult to achieve a consistent, reliable internet speed. In cases like this our VoIP telephony service works perfect over satellite or 4G internet. This now gives you the option to literally work remotely, anywhere. As long as you can get access to the internet, you can use our VoIP telephony services worldwide! If you find yourself suffering from slow internet speeds, or are in a rural area where broadband is not available, please contact us to see if we can help. Our broadband services are available throughout the UK and Europe. Advanced call features are FREE on all business plans. Your calls are carried using the latest encryption techniques, to ensure your conversations are secure. With our free mobile phone app, you can take your extension anywhere and never miss a call. We have a variety of ring group configurations to ensure your calls are answered in a timely manner. Audio and Video conferencing are supported to compliment your unified communications. Our system supports Call Forwarding, Call Waiting, Call Transfer and Call Recording. Create your own marketing message or play music while your customer is on hold. Caller Line Identification to let you know who’s calling by displaying their name or number. Voicemail is enabled as standard and will email you a recording of the message as soon as it has been left. The Auto Attendant (IVR) can make announcements to your callers, giving them options and directing your inbound calls. 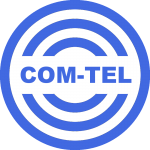 COM-TEL Telecom are proud to offer enterprise class telecommunications and VoIP business phone systems to the UK, Europe and globally. We deliver superior low cost VoIP telephony services and offer a full range of Unified Communications solutions for your business including, video conferencing, fax and data solutions, messaging systems, hosted Voice over Internet VoIP, cloud based and on premise PBX and SIP trunks. 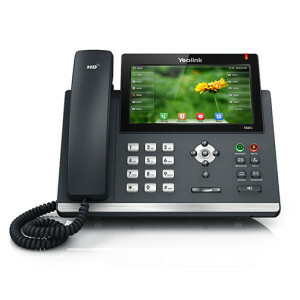 We also offer a wide variety of hardware from some of the best known VoIP Phone manufacturers in the world like Yealink, Snom, Gigaset and Panasonic and can deliver a range of IP Phones, Internet Phones and SIP Handsets at very competitive prices. Our status as an independent Internet Telephony Service Provider (ITSP) allows us to offer our clients affordable calling plans according to their business needs. Take a look at some of our popular calling plans below. If you don't see what you want, let us know !